The sun, a ball of fire some 93 million miles away, supports all life on our planet. But, its life giving rays also pose dangers. The principle danger posed by the sun is in the form of ultraviolet radiation, or for short, UV radiation. UV radiation is a component of solar energy, but it can also be given off by artificial sources like welding machines, tanning beds and lasers. You are probably aware of the danger posed by UV radiation to your skin, but you may not realize that exposure to UV radiation can harm your eyes and affect your vision as well. There are three types of UV radiation. One type, called UV-C, is absorbed by the ozone layer and does not present any threat. That’s not true of the other two types, UV-A and UV-B. More and more scientific evidence is showing that exposure to both UV-A and UV-B can have adverse long and short-term effects on your eyes and vision. If you are exposed, unprotected, to excessive amounts of UV radiation over a short period of time, you are likely to experience an effect called photokeratitis. Like ”sunburn of the eye” it may be painful and you may have symptoms including red eyes, a foreign body sensation or gritty feeling in the eyes, extreme sensitivity to light and excessive tearing. Fortunately, this is usually temporary and rarely causes permanent damage to the eyes. Long-term exposure to UV radiation can be more serious. A number of scientific studies and research growing out of the U.S space program have shown that exposure to small amounts of UV radiation over a period of many years may increase your chance of developing a cataract and may cause damage to the retina, the nerve –rich lining of your eye that is used for seeing. This damage to the retina is usually not reversible. The effects of UV radiation are cumulative. This means the longer your eye are exposed to UV radiation, the greater the risk of developing such conditions as cataracts or macular degeneration in later life. Researchers have not yet specifically determined how much exposure to UV radiation will cause how much damage, but a good recommendation is to wear quality sunglasses that offer good protection and a hat or cap with a wide brim whenever you are working outdoors, participating in outdoor sports, taking a walk, running errands or doing anything in the sun. Don’t forget protection for children and teenagers. They typically spend more time in the sun than adults. Do you spend time mountain climbing or at the beach? 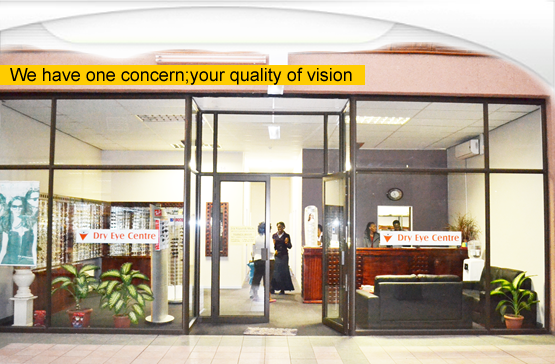 Be sure to see your doctor of optometry once a year for a thorough eye examination. It is a good way to monitor your eye health, maintain good vision and keep track of your UV radiation protection needs as well as new advances in that protection.